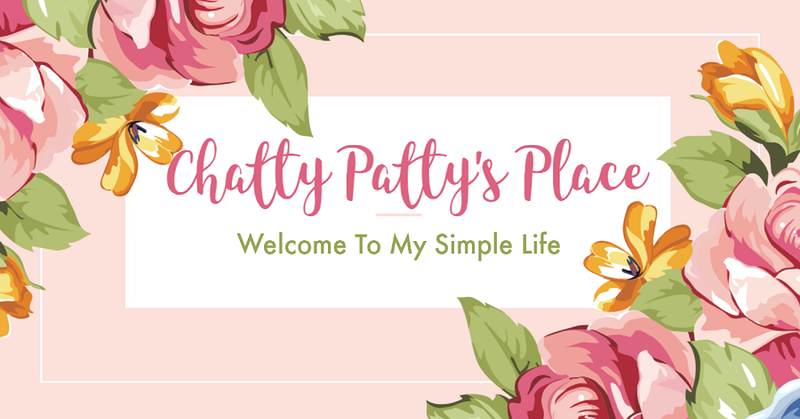 Have you ever walked into an establishment and felt uncomfortable putting your purse on the back of your chair or on the floor? Clipa is a bracelet that was created to double as a way to keep your purse in sight and off of germ infested surfaces. Do you ever put your purse on the car seat next to you and all of a sudden it goes flying off the seat as you hit the break or turn a corner? 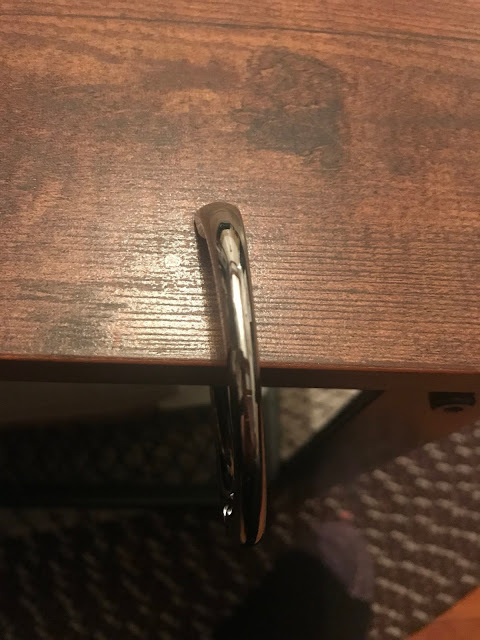 Clip can hold your bag securely in place in the car. Clipa sits securely on tables, door tops, around seat belts and other spots. It can double as a bracelet when not in use, or be clipped on your bag for when you need it. 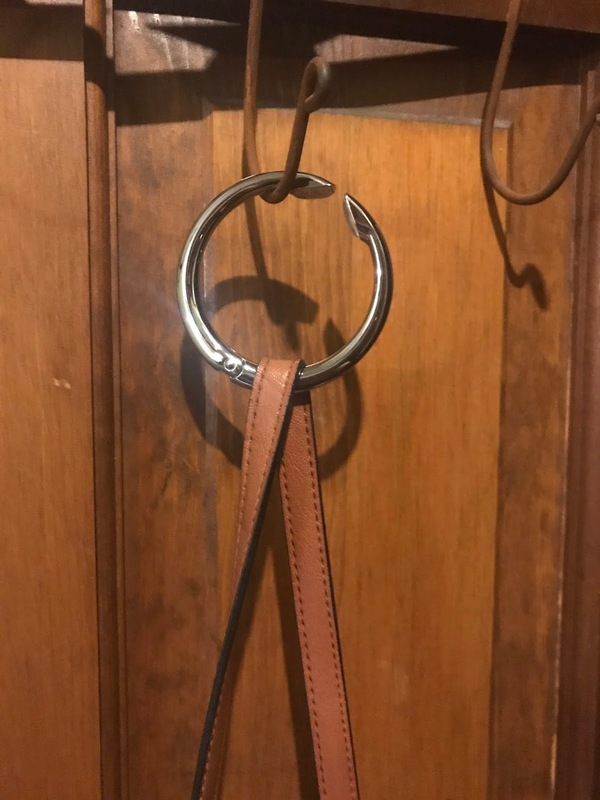 No need to worry about restrooms without hooks. Clipa takes the place of hooks. It makes a great gift for Galentine's get togethers! Since I received my Clipa to review, I find myself using it often. I especially use it in the car to secure my purse in place. I have also used it in a few public establishments. I secured my grocery bag in the car with it too. It really has a lot of uses. 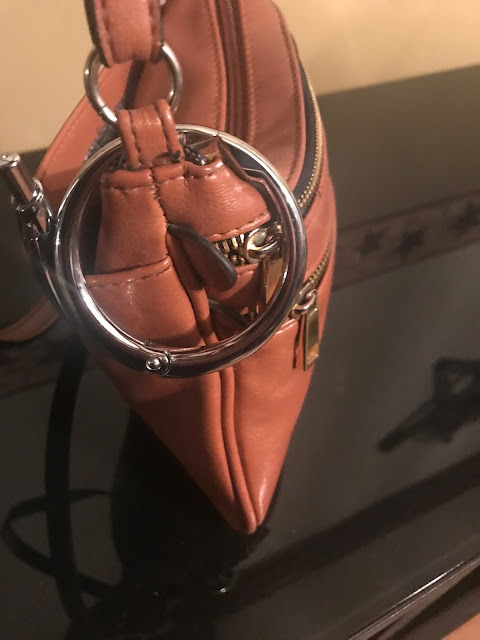 The Clipa is jewelry (a bangle for your wrist) that doubles as an elegant bag hanger. Clipa’s unique design works where many others don’t, including: restroom stall doors, sinks, cubicles, rails, carts and yes, even your car’s headrest to keep your bag off the floor and away from germs, water and dirt. 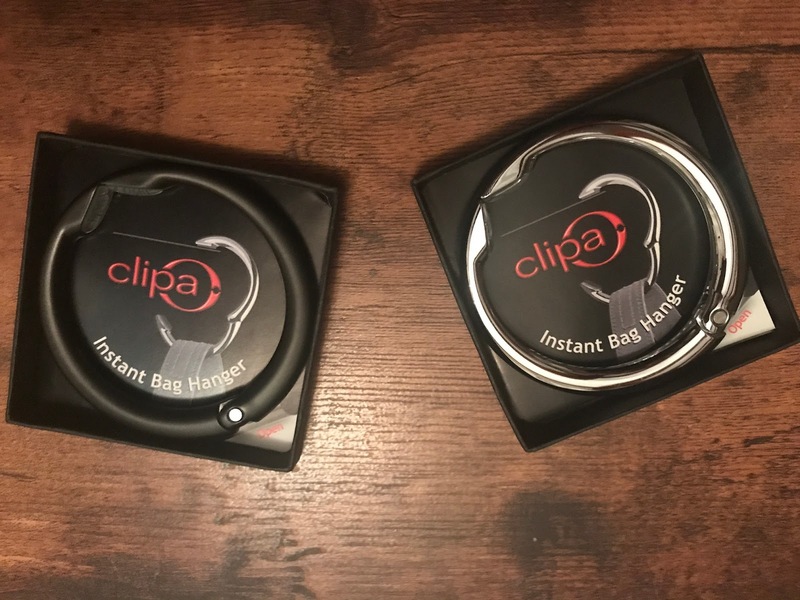 The Clipa hangs on your bag strap for fast use, opening from a ring into a hook then closing automatically when you’re ready to go.. So clever! The Clipa weighs just 1.6 oz. yet holds a hefty 33 lbs. and is available in 6 finishes that never need polishing. Beautifully gift boxed with a user guide, it’s #1 rated on Amazon with an incredible 2,100 user reviews.